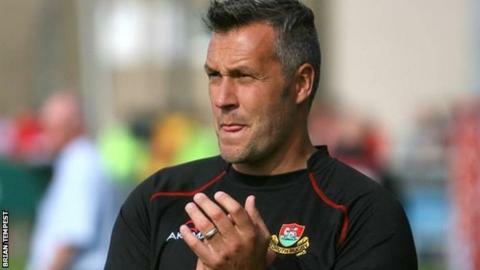 Redruth deserved a bonus point from their 30-22 loss at Clifton, according to head coach Steve Larkins. The Reds conceded two tries in the first five minutes as they lost for the first time in four league matches. "It was disappointing that we didn't get a bonus point, I felt we deserved something out the game," Larkins said. "If Clifton were honest they'll say they got off with one because I thought after 60 minutes, there was only going to be one winner." The loss leaves Redruth 10th in National Two South as they were leapfrogged by Cornish rivals Launceston after their win over bottom side Dings Crusaders. "In the second half we came back out really well and we got back into the lead part way through the second half, but it wasn't to be," he told BBC Radio Cornwall. "We can't really give up a 14-point lead and still expect to win. In the last 15 minutes I don't think we got any decisions, lots of penalties went against us and that really cost us. "Overall, it was a pretty pleasing second half. We just had a very forgettable first five minutes."